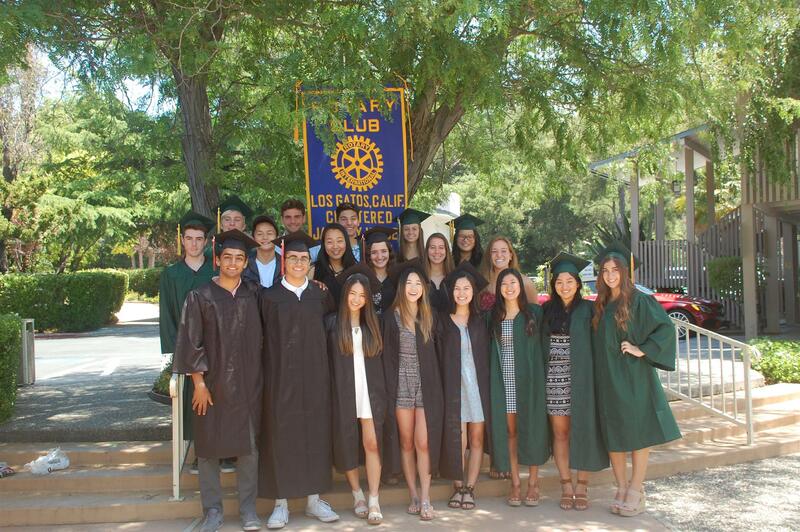 Rotary Club of Los Gatos awarded these 20 Los Gatos and Leigh High school seniors with a combined scholarship amount of $36,000! The Club started giving scholarships in the late 1940’s. In 1973, it became a formal endowment and has grown significantly since then. Our scholarship fund is made possible by community fundraisers like the Rotary Club of Los Gatos Great Race and CrabFest and Auction, that enables us to award approximately $40,000 in scholarships annually. Our Club’s Scholarship Committee makes the awards based on criteria such as recommendations from school counselor, applicant interview, GPA, participation in school activities, especially Interact Club, and financial need.